We’ve all go something that plagues us. A sin. A doubt. A worry. An illness. Something. We’ve all got something that we wish we didn’t have. We’ve all got something that we’d give anything for God to take away, something that, if we didn’t have to deal with it, would make our lives much, much easier. 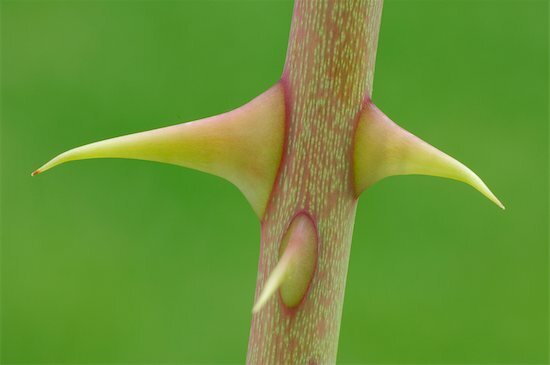 So to keep me from becoming conceited because of the surpassing greatness of the revelations, a thorn was given me in the flesh, a messenger of Satan to harass me, to keep me from becoming conceited. Three times I pleaded with the Lord about this, that it should leave me. But he said to me, “My grace is sufficient for you, for my power is made perfect in weakness.” Therefore I will boast all the more gladly of my weaknesses, so that the power of Christ may rest upon me. Paul has what he calls his thorn in the flesh. We don’t know what it is, no one does. All we know is this, that is caused Paul great pain, and he badly wanted to be rid of it. And God told him no. It would not be removed. Why? Wouldn’t it be better if it was gone? No. Why? Because in his weakness, Paul would find God’s strength. When Paul had to rely upon God’s strength, he’d find more power, strength, and might then he’d ever imagine. When he was weak, God strength is made know for all to see. So is it in all our lives. In our weakness, when we rely upon, we find God’s strength. When we rely upon Him, we find more power than we’ll ever know. We He is our strength, then we all have all the strength we need. Today, even with any thorn you may face, God’s strength is all that you need.